Hey all! I know it's been awhile, but I'm back for Secret Recipe Club this month. I've been cooking lots, but it's hard to get some time on the computer with a newborn and toddler running around! Once I get in the swing of things, I promise I'll be back! But for now, expect sporadic recipe posts! This month's SRC assignment was Sashi's blog over at Get Off The Couch and Cook. I'll admit there were a ton of recipes I bookmarked to try out, but these days new slow cooker recipes always grab my interest! The easier, the better :) My family loves pulled pork sandwiches, so I was excited to try out a new flavor profile other than traditional BBQ. These Asian-inspired sandwiches were scrumptious and were so easy to make. We love Asian dishes in our household so this was right up our alley! The pork was tender after a few hours and was falling apart. Enjoy! In a small bowl, whisk together everything but the pork until well blended. Place the pork loin in a 4-qt slow cooker and pour the pineapple-hoisin mixture over the pork. Cover and cook on low 6-7 hours or on high 3-3.5 hours. Shred in the slow cooker, removing any large bits of fat. Yay! We got each other this month. 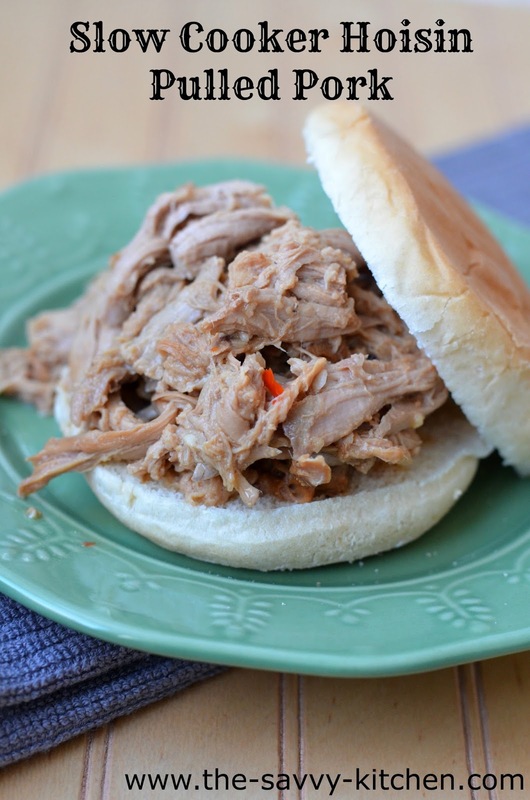 :) I am so glad you like the hoisin pulled pork... it's a staple around our place. In fact, I made it again just last weekend! I too have a newborn and toddler, I feel your stress! 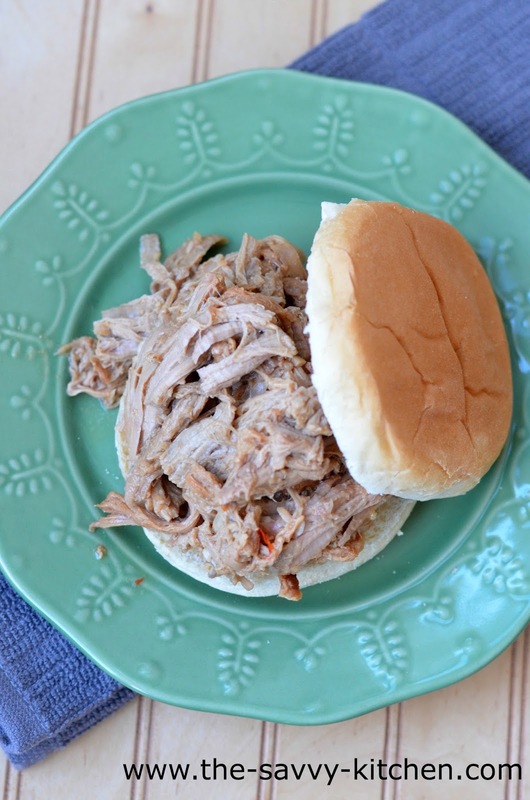 Pulled pork is a perfect option for busy days and night. i love any kind of pulled pork! this sounds so flavorful! That sounds delicious. I'll have to try it.